Russell Morris is something of a legend in his native Australia, boasting an esteemed stature that he’s commanded since the late ‘60s when he scored five Top 10 singles and released one certifiable classic via a song called “The Real Thing,” a song which is still revered down under even today. More than 40 years on, Morris refuses to confine his career to the rear view mirror, a credit to both his credence and his willingness to reinvent himself all these decades later. 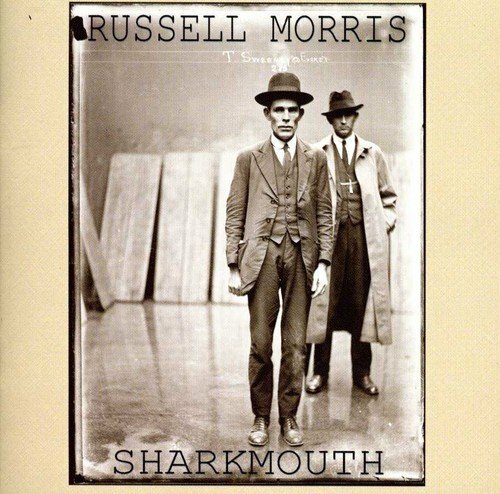 Originally released as an import, Sharkmouth tells the story of a key player in the Aussie underground, and while Morris’ obvious affection for the blues effectively obscures any storyline, his gruff vocals and swampy set-ups do convey a certain shadowiness and uncertainty. If there’s any question about plot line or the characters involved, the companion DVD offers some illumination, as do the lyrics that are included herein. Mostly though, Sharkmouth is best listened to as a blustery blues album, one that finds a revered master still singing in very fine form.